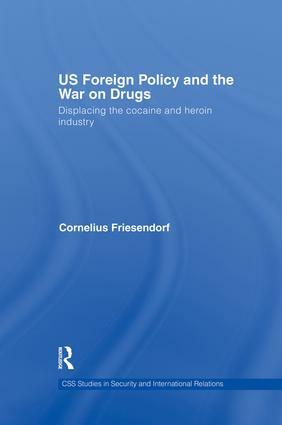 This book examines the geographic displacement of the illicit drug industry as a side effect of United States foreign policy. To reduce the supply of cocaine and heroin from abroad, the US has relied on coercion against farmers, traffickers and governments, but this has only exacerbated the world's drugs problems. US Foreign Policy and the War on Drugs develops and applies a causal mechanism to explain the displacement, analyzing US anti-drug initiatives at different times and in various regions. The findings clearly show that American foreign policy has been a major driving force behind the global spread of the illicit drug industry, calling for urgent revision. This book will be of interest to students of US foreign policy, security studies and international relations in general.